Hackers need HackerWear. TheHackerCIO (pictured above) has got to be close to the first person wearing one of these. As soon as the announcement came down, I placed my order. It came today. 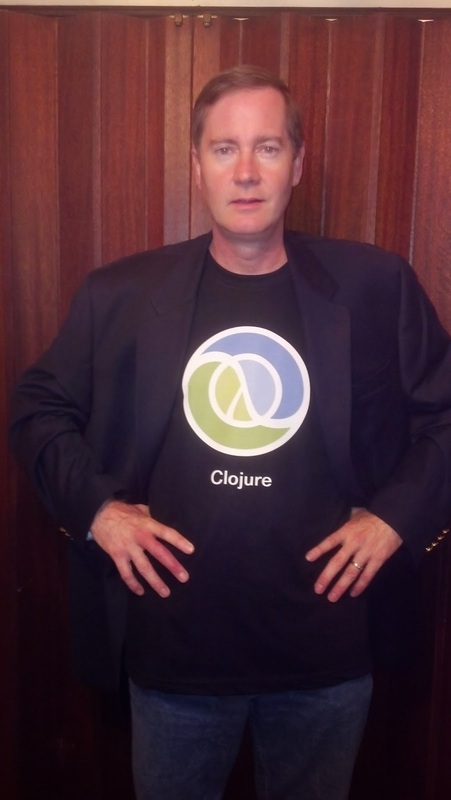 Long live Clojure! Last Tuesday, the Geeky Book Club didn't meet. The night was "off," owing to the Holidays. So, in lieu of Cucumber, I thought I would take today's space to recommend one of the best "techie" reads to be had. 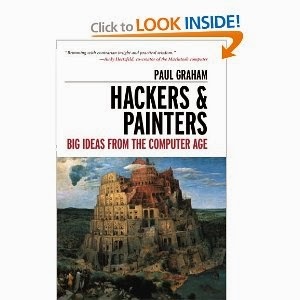 I speak of "Hackers & Painters," by Paul Graham. Notice that I didn't say I would review it. I'm just recommending it. It's the best technology read around, and if you haven't, you need to get a copy and start reading it ex post haste. If you want to get a taste, you can read most of the contents online here. A veritable technology cornucopia is coming! TheHackerCIO was lucky enough to field a call from one of his respected colleagues today, who wants to make a server and infrastructure laboratory available for new product evaluations! What Geek doesn't want to have Rackspace, Routers, & Servers! 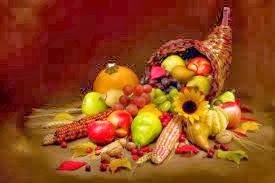 Now if that isn't something to Give Thanks For, then I don't know what is! Lots of exciting possibilities here: he's going to make it available to our Technology Radar Group, of which he is a founding member. He's going to work with me on making the equipment available to some other researchers -- specifically so we can more properly assess and investigate the consistency properties of some of the new, NoSql database products. So, stay tuned for details. So obviously TheHackerCIO has to tighten up his easy-going LinkedIn policy, so that he keeps his Network hygiene up. We had some fun a few days ago with the Linked-In request purporting to be from Ben Bernanke. The post was also a means of crowd-sourcing a determination of the scam. Did you authorize One Lawrence R. Larson who presented document of claim purported to have been signed by you for the release of your payment to him? Could you please drop your direct line so that I call you for more details. And, by the way, I'm mysteriously Unlinked from my newly accepted buddy. Sorry that no-one gets to collect the credit for decoding the scam, but the reminder that scam and spam are everywhere, even in LinkedIn, is salutary for all of us. If you send me any further communications at all, I will pursue every federal agency that exists to see that you receive the full punishment of the law for whatever scam you are pursuing. You don't even have the imagination to use a different name from the Nigerian scam (Lawrence R. Larson). I will be forwarding all these details and following it up with yahoo, your email provider, as well as LinkedIn. If I receive any spam at all on this account (which so far has received none), I will know it came from you and will pursue every legal avenue to see you receive full legal punishment. Now go away, and forget my email address, you scum-bag. An Open Letter To Headhunters About "Big-4 Opportunities"
I think you are uniquely qualified for a Senior <techo-detail-deleted> Architect position I'm looking to fill for a Big 4 firm. Total compensation will exceed $<compensation-deleted>, depending on experience. Would you like to see the complete job description? I have worked with this Big 4 firm for 7 years and can set up a call for you with the hiring manager in less than 48 hours. If you have any interest, kindly email your resume to me (send directly to <email@deleted.com>, as attachments will not come through via LinkedIn) at your earliest convenience. 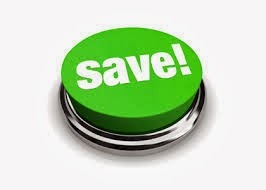 If you would rather refer someone (with similar qualifications), I can get you a substantial referral fee. This kind of query always leaves him conflicted. So what better way to address the conflict, but to explore it in full detail in writing, and not only share the issues with my blog-followers, but also have a link to send to this and all future such requests? TheHackerCIO always seeks greater efficiencies! That's what makes him an executive, but that is a topic for another day. First, the conflict: I'm an intelligent, highly ambitious, highly competent, technology executive. The kind of compensation mentioned is definitely interesting; it sounds like they are seriously looking, since they will turn-it-around in 48 hours; and the recruiter has a direct, as well as long-term relationship with the hiring manager. But the problem is, this is a Big-4 firm. The Big-4 firms are Accounting-Audit firms, who by consequence of their proximity were able to provide technology consulting services to their clients. The enterprenerial opportunism is laudable and admirable. But there is a big problem. At their core, the Big-4 are not technology businesses. Technological excellence is not their core competency. Accounting, auditing, management, process, methodology: all of these things are their core competency. That is the theoretical explanation that I have found for why every assignment I have had around such organizations has been a profoundly unsatisfying experience. The empirical evidence I have seen of these Consulting Groups has been uniformly bad. Ok, worse than bad. But I can't say that this is universal: I haven't examined them exhaustively. I haven't performed a systematic study. I haven't determined with full irrevocable certainty that nothing good can come from them. But the missing core competence is an explanation that seems to explain the empirical results I have experienced. Let's break down some representative examples of specific things I don't like. 1. I don't like their hiring model. Of course it's great to see sharp, top college students. But not when I need a DBA. Not when I need a good Pythonista. The Big-4 model is built around "making partner," and recruiting the smartest and most ambitious College Graduates to work like slaves in the vain and 5-9s futile pursuit (99.999% futile, that is, for you recruiters reading this) of achieving the Holy Grail of Big-4 Consulting: Partnership. And, frankly, I don't like pushing people out when they fail to make a virtually impossible grade. That isn't the kind of environment I want to foster or even give sanction to as being proper. I'm interested in achieving success. If that gets accomplished in a totally unstructured manner, as with Dr. Edwin Land "insisting on the impossible" at Polaroid, without schedules, reporting structure, or deliverables, I'd prefer that. I'd prefer working with an innovative genius who was difficult and demanding, and yet successful, than with a careful bureaucratic process that replaces success with paper-work production. 3. They prefer package solutions; I prefer custom work. It's the difference between putting up prefabricated homes and getting a Frank Lloyd Wright house, like Fallingwater. There's nothing wrong with either, but the latter is beautiful, and what I want to do with my life. 4. I don't like their common practice of fielding truly gifted, top-notch technologists when they are in the initial phases of securing the contract, followed by a speedy "reassignment" elsewhere once everything is contractually agreed. I certainly don't want to be the bait for poor clients, only to be switched off to another rinse-and-repeat-cycle once the poor client's John Hancock is on the dotted line. I want a continuity with my clients. I want an honest and thoroughgoing relationship with them, throughout the duration of the entire contract. I want repeat business. That's the way I want to do my work, with pride. 5. More than a majority of the Big-4 contracts I have seen ended up in litigation with the clients. I have to tell you that I have in my entire career never seen a boutique engaged in any litigation with their clients. I'm counting right now at least 5 instances of such lawsuit surrounding cancellations at Big-8-6-5-4 firms. I don't want to work in a place that seems to regard their Legal Department as a Profit Center. Sorry, but that's just wrong. These firms, originally were 8, then 6, and now 4. When they were bigger, the most representative example was Arthur Anderson Consulting. I worked around them at least 4 times and never witnessed a successful implementation. I helped two clients prepare their defense documentation for the impending lawsuits. I wasted nearly 6 months doing this kind of forensics to assist one client. I consider them the prime illustration of the ilk, and would never consider anything at their current re-incarnation of Accenture. They are the very antithesis of everything I want to do in my professional life. Unless, of course they have completely changed, as the Leopard might lose his spots. The wonderful thing about full honesty and transparency is that you can state your observations and evaluations based upon them, and if you somehow missed something, you can still be open to learning something new. That's part of being an active learner. But that is, also, a topic for another posting. So, dearest recruiters, if you would dare to show this posting to your client and he still wanted to talk to me, then please send me another message, and I'll email you a resume. Anyone open-minded enough to read this and still desirous of pursing me, ought to reasonably be in synch with the kind of values I want to bring about in my work. For my work is holy.